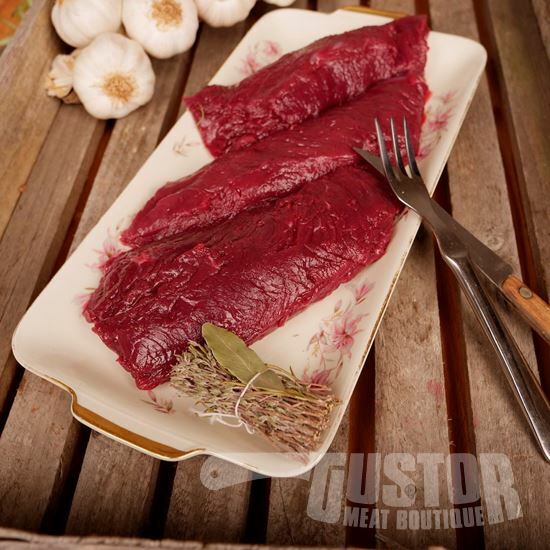 Kangaroo meat is among the purest game that we can eat today. The animals roam freely across the vast Australian outback, and are hunted in order to keep their numbers under control. Only males are shot. The meat is 100% pure and natural. 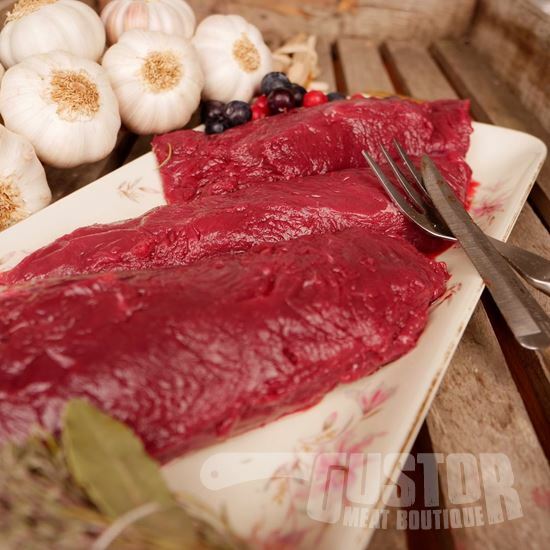 The deep red colour of kangaroo meat is reminiscent of traditional game. It is easy to prepare using almost any recipe for beef, veal or lamb dishes. It is an excellent alternative for those concerned about their health, because the juicy flesh is of excellent quality, very nutritious (22% protein and rich in iron and minerals) and contains very little fat. As a bonus, the fat that is present is ‘good fat'. Zeer stipte en gekoelde levering/verpakking. Het vlees zelf waren mooie stukken vlees van topkwaliteit. Het was onze eerste bestelling samen met Limousin chateaubriand, en het zal zeker niet onze laatste bestelling zijn. Sptipte levering, zeer goed gekoeld. Vlees zag er perfect uit. Alles nu ingevroren . Ik denk dat het heel lekker gaat zijn. Mijn beoordeling wordt later nog aangevuld. Très bonne viande, fondante et facile à préparé ! !